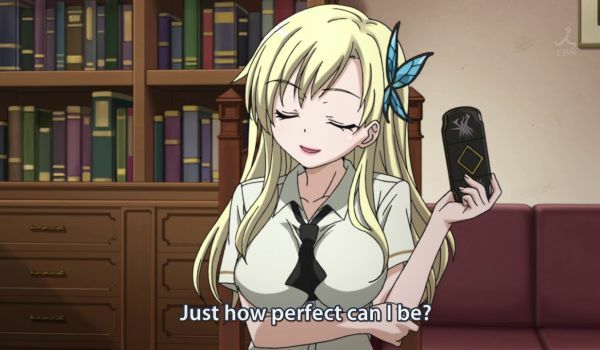 “Just how perfect can I be?” There are two very different ways one can arrive at this feeling. One of them is very much more likely when you are young. Pew Research, who (fittingly for their name) found out that American Christians knew less about religion than anyone else in America, have also found out that Democrats also know less about politics. The parallel is striking, if you ask me. The less you know, the more you are into it… or? The Democratic party, like all leftist parties (of which it is quite possibly the least leftist in the world, but by American standards it is leftist) has these bold plans to reform society. There may be two very different points of view that lead to this aspiration, and I will show how these fit the two main voter blocks mentioned above. The Dunning-Kruger effect is the overconfidence of the ignorant. Because they know so little, they think there is very little to know, and so they overestimate themselves. Looking at others, they have no clue how to estimate them either, so will randomly put them down or up depending on unrelated factors. Once you learn a bit – not a lot, but enough to get an overview of that particular field – you realize that you have been an idiot, and your confidence plummets to record lows. It stays low for quite a while as you continue to study, but gradually climbs as you amass a wide and deep knowledge base. In the end, it is clear to you and your fellows in this particular field that you are a leading expert. You start getting used to the fact that others just don’t know what they’re talking about, and gradually you stop listening to them. In this way you enter the second and last overconfidence, the overconfidence of the elite. You may wonder why I call it overconfidence when they actually are the best, head and shoulders and chest above the rest. The answer is: Because they are still not God, they are not omniscient, not by a long shot. Now the tenured elite in America have not actually come out and called themselves God and Savior, but they clearly do believe there is no other being in the universe that is above them, and they have bold plans to make life better for the lesser humans, this time through social engineering. Wanting to reshape the very soul of a nation according to their untested ideas (or, in some cases, tested and failed) is almost certainly reaching too far. Luckily democracies are really good at oscillating, so that after a few years of Democrats there will be a spell of Republicans and so back and forth. Religion does not have this natural oscillation. This is why I would rather have democracy than theocracy, no matter how well-meaning the theocrats are. In fact, the more well-meaning, the more likely to go completely overboard. The more certain you are of your own righteousness, the more clearly evil are those who oppose you, and unfortunately they just have to be removed with extreme prejudice. But enough about the sad political religion of the left. Let us see whether true religion also has two prongs, like politics have. The large mass of staunchly religious would be those who don’t know enough about religion to even doubt it. Then there would be a large number of doubters in the middle. And finally at the other end there would be those who have studied religion in great detail, both in theoria and praxis, and have confidence because they truly know in what they believe. And unlike socialism, which wants to change the world from the outside, changing circumstances, true religion seeks to change the individual from inside. Therefore change always begins with ourselves. As the Christian Bible says: “It is now the time when the judgment begins with God’s house.” Such a confidence can be tested quickly and effectively through the experiences of daily life. In fact, it cannot avoid being tested. Then our divine nature (or lack thereof) will definitely show itself. But once you have studied religion enough to realize your ignorance, there is no going back (unless you stop really early, I guess). Madness is not the only danger in books: There is also the danger that something may be understood that can never be forgotten. You have to keep learning, working your way up from the lowlands of doubt until you reach the city on the hill. And our understanding, or lack thereof, will be tested in our own lives sooner or later. A saint or sage can say: “Come follow me!”. Listen for this from your pastor or rabbi, and the same from your congressman, and it will serve you and your country well. This entry was posted in human mind, society by itlandm. Bookmark the permalink.